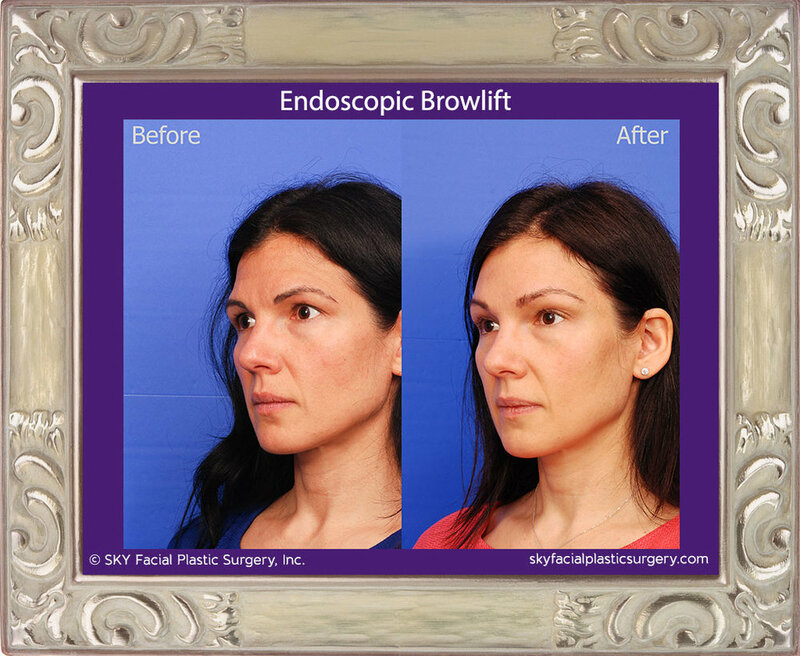 A brow lift, also called a forehead lift, raises sagging eyebrows back to their youthful position and tightens the forehead area, removing wrinkles. This procedure can be used to shape the eyebrows and create a pleasing arch. While trained in all approaches, the most common one that Dr. Yoo employs is the endoscopic technique or "endobrow". This hides small incisions behind the hair line and uses specialized endoscopic equipment to reposition and stabilize the eyebrows. 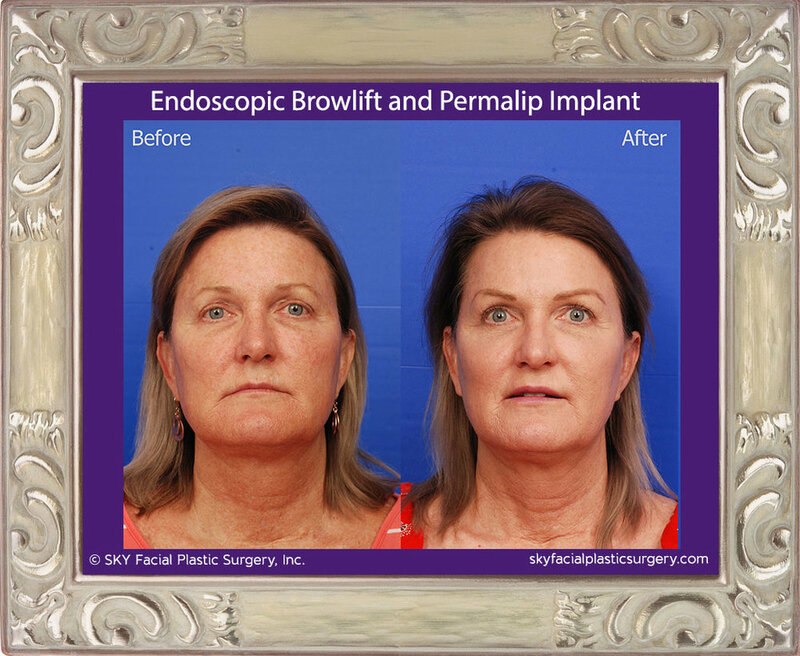 If you feel you have deep frown lines, wrinkles across the forehead, or sagging eyebrows, a brow lift may be a good option for you. 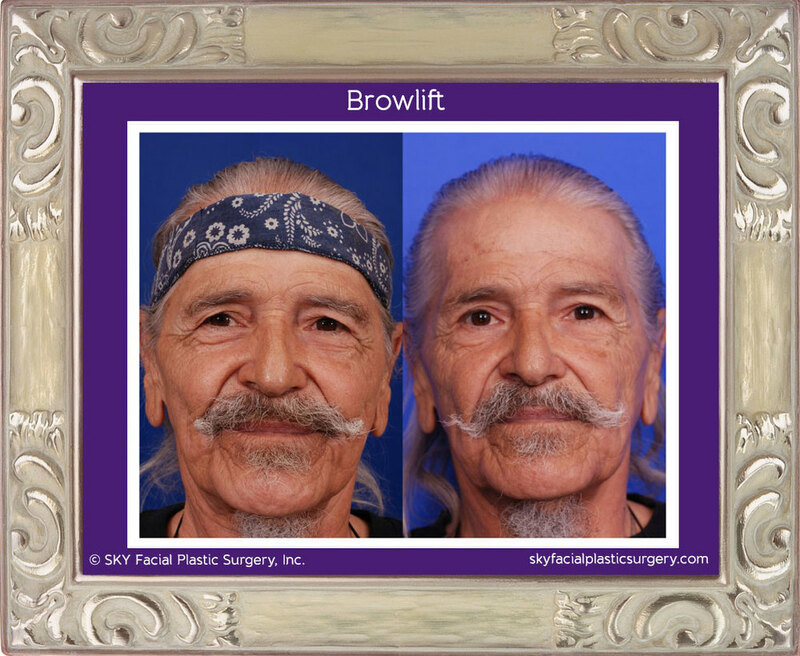 Brow lift surgery is commonly performed on an outpatient basis and usually under general anesthesia. The procedure normally takes about one to two hours. Depending on the patient, Dr. Yoo will use an endoscopic or open technique. Endoscopic - A small telescope and surgical instrumentation are inserted via small incisions behind the hairline and used to pull up the forehead tissues and re-suspend them. Open - Longer incisions are made either along the hairline or behind it, allowing the surgeon direct access to the tissues that need to be removed or suspended. Patients go home the same day. Most bruising and swelling will dissipate after one week and completely resolve after two to three weeks.